Featured in over 30 countries, including the United States and United Kingdom. The quick meditations and breathing exercises help you deal with stress, anxiety, overwhelm, sleep and more. 3 Minute Mindfulness has been seen in The Huffington Post, The Telegraph, Mashable, Gizmodo and more. Mindfulness is defined as paying attention in the present moment, without judgment. Put another way, Mindfulness is about noticing what is happening around you right now. There are many ways to practice mindfulness and bring yourself into the present moment, including meditations, breathing exercises, feeling for sensations and more! For example, try taking a deep breath in through your nose... And breathe out through your mouth. Congratulations! You just did a Mindfulness exercise. In that moment you paid complete attention to your breath, without any judgments. - The 7 Days of Mindfulness course. Learn practical mindfulness exercises that can be applied to your day to day life. There are 7 lessons, spread out over 7 days. Each lesson is approximately 3 minutes short! 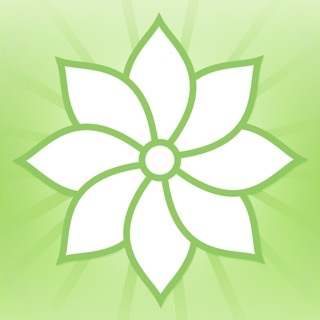 - Guided meditations to help you reduce stress, relieve anxiety and even help you sleep. All in just 3 minutes! - A range of breathing exercises that each have different benefits. They include Square Breathing (great for taking control of your mind), 4-7-8 Breathing (this has been called a natural tranquilliser, making it perfect for getting to sleep), and more! You can even create your own breathing exercises. 3 Minute Mindfulness connects with the Health app to save all the time you spend being mindful. Subscription automatically renews unless auto-renew is turned off at least 24-hours before the end of the current period. Payment will be charged to iTunes Account at confirmation of purchase. Account will be charged for renewal within 24-hours prior to the end of the current period, at the price you purchased the subscription for. Subscriptions may be managed and auto-renewal may be turned off by going to your iTunes Account Settings after purchase. When I first downloaded this app I liked it a lot and when my free week trial was over I decided to pay for the subscription and unfortunately it has not been worth the money. I started using this app a month and a half ago and no new meditations have been added. Since the meditations are only 3 minutes long and most days I want to meditate longer, I have already gone through most of them some even several times and they don’t work for me anymore. I haven’t used this app in two weeks, I’ve been doing my own meditation or I find a different source. I still gave this app 4 stars because it did help lay a basic foundation on meditating. I never meditated before and this app has giving me good techniques that I still use when I meditate myself. However that is also something that you can get online for free. My suggestion to the developers is to make sure to add new meditations more frequent. I also suggest some meditations that are longer than 3 minutes. There is a lot of free information online about meditating so make sure to give your app something special to justify the price. I have been using the 3 minute mindful meditation for quite some time now. I ran into a problem where I could not download the music for the meditation. I emailed the people at 3 minute meditation and Richard jumped on the problem and fixed it. If you are having any problems with the app contact them first they are awesome. Give them a chance before you start writing one star reviews because I am very happy with the response I got. Thanks again from a loyal customer. Had this app forever- used it on and off and also paid for access to more features. App recently stopped working on my iPhone 7 (which is up to date). When I re-downloaded it- all of the additional features- which I paid for- disappeared. It never had me set up a login originally (so I could not retrieve my previous services)-just had me pay via my Apple ID. I think the app should be better set up for situations like this- where someone is logged in through their Apple ID and pay for more features and then lose them if/when the app stops working and needs to be reloaded. Unfortunate.